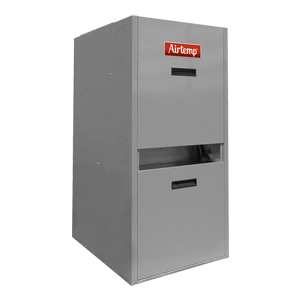 Airtemp oil furnaces are designed to provide the best in home heating comfort and value. Clean combustion, engineered heat distribution and quiet operation are the benefits you can expect, year after year, when you choose an Airtemp oil furnace. 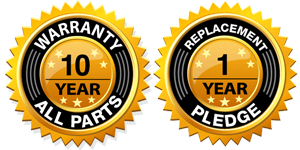 And, our exceptional warranties insure peace of mind. High quality Beckett burners utilize the latest technology for efficient, clean combustion. Heavy gauge wrap-around design heat exchanger promotes smoother airflow and maximum performance. Designed to provide a wide range of airflow deliveries so there’s one just right for your home’s system. High density cabinet insulation reduces operational sound levels. Appliance-grade powder coated steel cabinet ensures a long-lasting finish.